Meat. It’s one that many want to sink their teeth into, while others just want to steer clear of it. Both literally and metaphorically. Meat contains nutrients such as B12, which plays a vital role in brain function and the nervous system; however, it cannot be easily found in plant-based diets. It also contains nine amino acids; proteins the human body can't readily produce. Aside from individual preference for taste, meat also contains a vast array of other benefits carnivores will stand for. However, these individual satisfactions are comparatively detrimental to the greater good. Affecting not only animal welfare, but also human health and the environment. You can read up on that here. Animal agriculture is a significant driver of global warming, and is responsible for at least fifty per cent of all greenhouse gas emissions – half of which are derived from livestock. The animals are typically fed corn, soybean meal and other grains, all of which require fertilisers, fuel, pesticides, water and land. In addition to this, the manure releases nitrous oxide, the most potent of the greenhouse gases that cause climate change, as well as methane – a gas that traps heat in the atmosphere and causes the earth's temperature to rise. According to the U.S. Environmental Protection Agency (EPA), animals on U.S. factory farms produce approximately 500 million tonnes of manure per year. With no animal sewage processing plants, it is often stored in waste lagoons, or sprayed over fields as liquid manure. People living nearby subsequently inhale these toxins and pathogens. 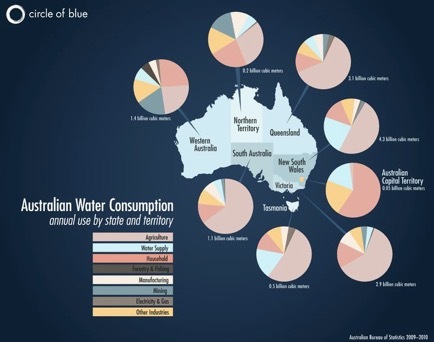 Water usage is also a huge part of the problem with animal agriculture. Huge amounts are needed to grow crops for animal feed, clean factory farms, and provide drinking water for the livestock. According to the Water Education Foundation, to produce 0.5 kilogram of beef, you could take a seven-minute shower every day for six entire months. Additionally, the majority of the edible grain grown used to feed animals for meat, dairy and egg production is enough to feed 840 million people…. yet 27,000 children under the age of five die of poverty and starvation every day. Luckily, scientists have a hunger for innovation and different groups around the world are developing 'clean meat'. 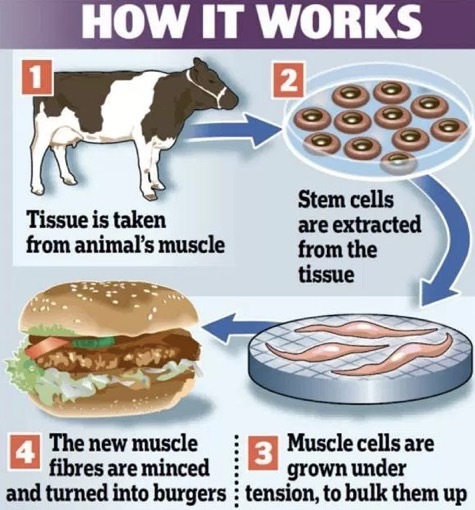 Also known as lab meat, cultured meat, in-vitro meat, this type of food has been cultivated in a lab, with the potential to 'clean' the planet. It also eliminates the health concerns associated with farm-raised foods, as it is free from the antibiotics and hormones in animal feed, and avoids the risk of contamination from bacteria and faecal matter. 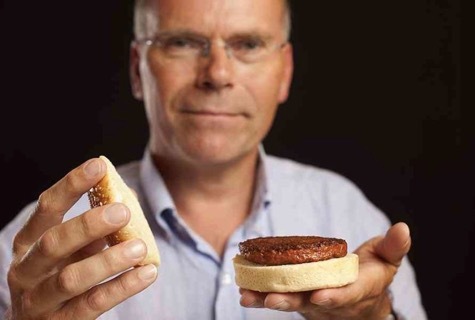 In 2013, Dutch Professor Mark Post from Mosa Meat served up the very first cultured beef burger in London. While it cost a mammoth $330,000, it is believed these costs can be reduced to something more commercially viable and reduce these animals' environmental footprint if it can be produced at economies of scale. "When you see how these cows are treated, it is certainly not something I am comfortable with." Since these developments, the cultured meat industry has exploded. Accounting for nearly a third of the world's total meat (second behind pork – which is also being cultured by Memphis Meats), test tube chook is now on the menu with researchers in Israel conjuring up a new recipe for the world's first cultured chicken cells. And for the lactose intolerant / vegans who may be allergic to nuts and dislike soy, there is Muufri, A San Francisco company who produce milk from cell culture using age-old fermentation techniques. With the help of genetically engineered yeast, this method allows for the very same milk proteins cows make, therefore retaining the taste and nutritional benefits, and free from growth hormones and antibiotics. Furthermore, Muufri will contain only the essential proteins, fats, minerals and sugars – the process similar to the manufacture of insulin and other medicines. Beyond Meat, and PayPal co-founder Peter Thiel has supported Modern Meadow, who creates leather from tissue engineering. Other industry shakers include Clara Foods, a cellular agriculture company making egg whites from cell culture. Studies have found cultured meat would produce 96 percent less greenhouse gas, consume 82 to 96 per cent less water, and virtually eliminate land requirements to raise livestock; and despite societal beliefs, cultured beef is not genetically modified. The world's population is expected to surpass nine billion by 2050, with the demand for meat to exponentially grow in correlation; proponents of growing meat in the lab may be the only way to meet these demands without destroying the environment. For more information on being a responsible omnivore click here. If you'd like to know how to get protein into a plant-based diet then check out our guide. And if you'd like to become a vegetarian but you really love meat, then this is a great read. Katie is your not so typical tweed jacket-wearing accountant. One of her greatest beliefs is to never underestimate the power of one and is passionate about leaving positive footprints in people's lives and making a difference in the world, even if it's as tiny as she is! You can keep up with her on Instagram and Facebook.